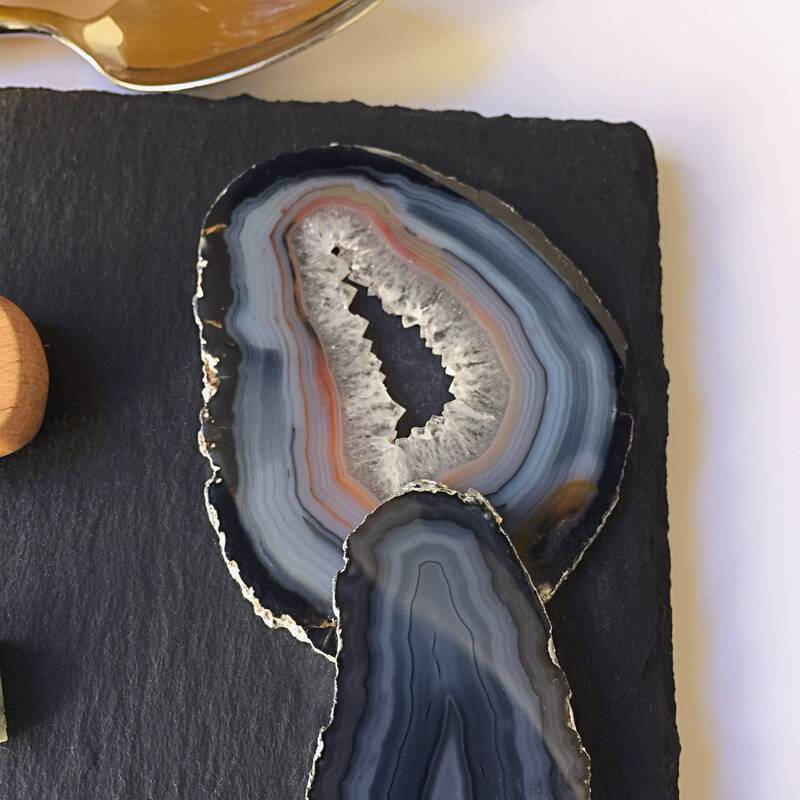 Rustic Glamour Decor- perfect for entertaining. 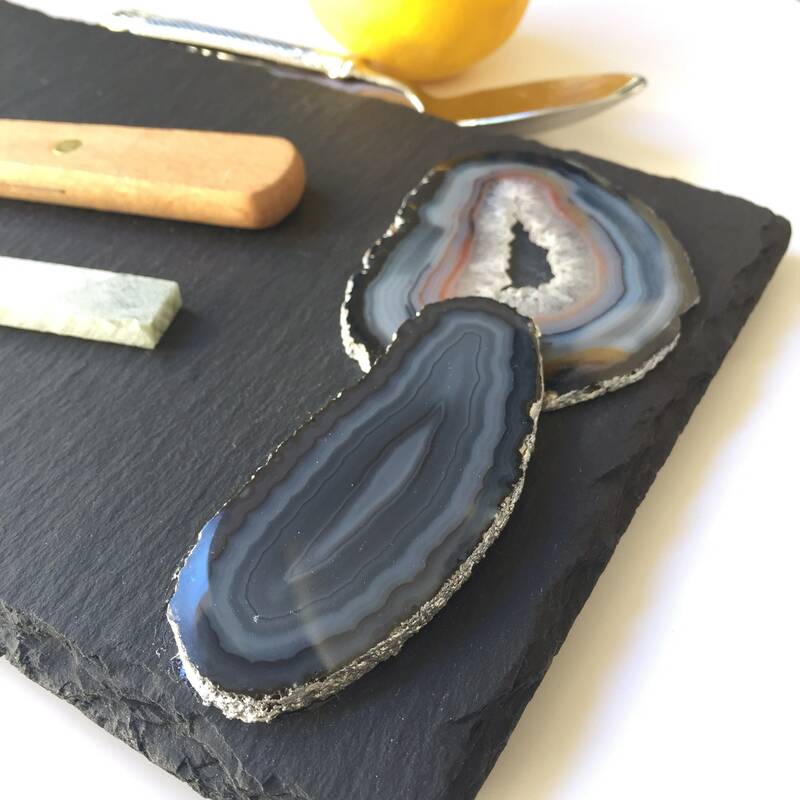 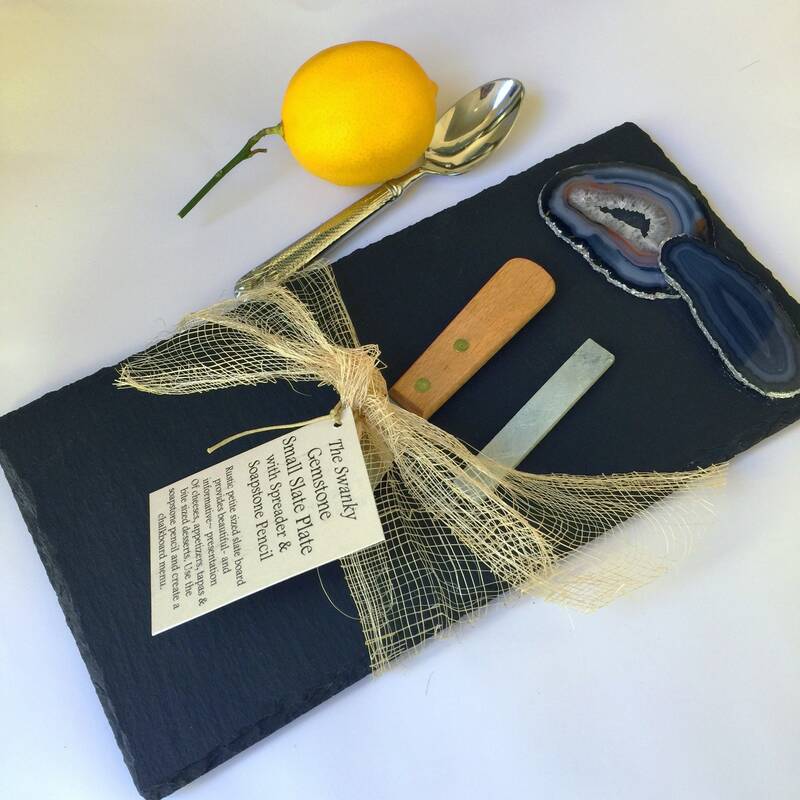 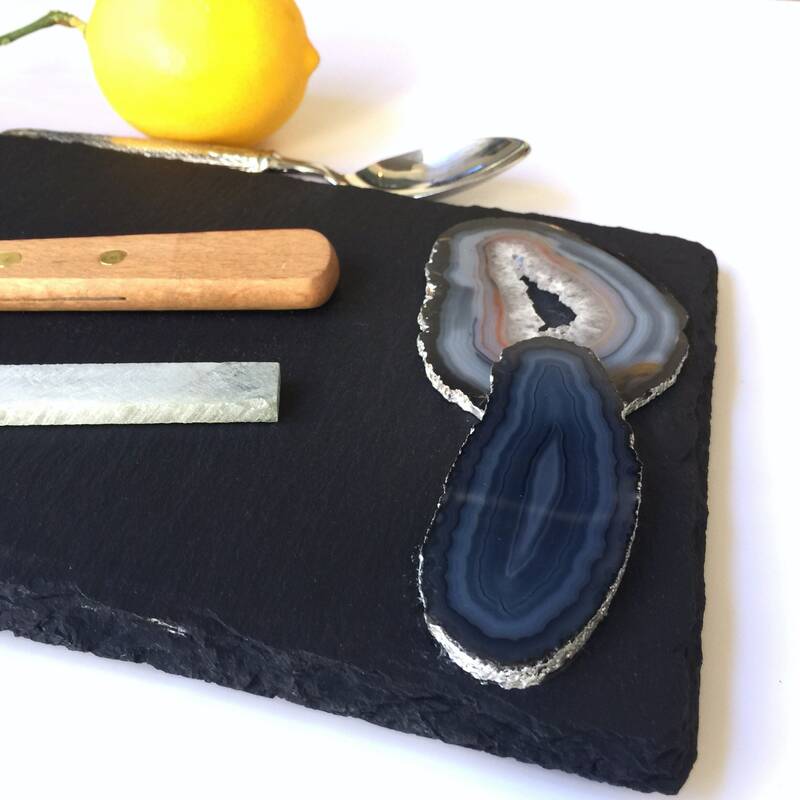 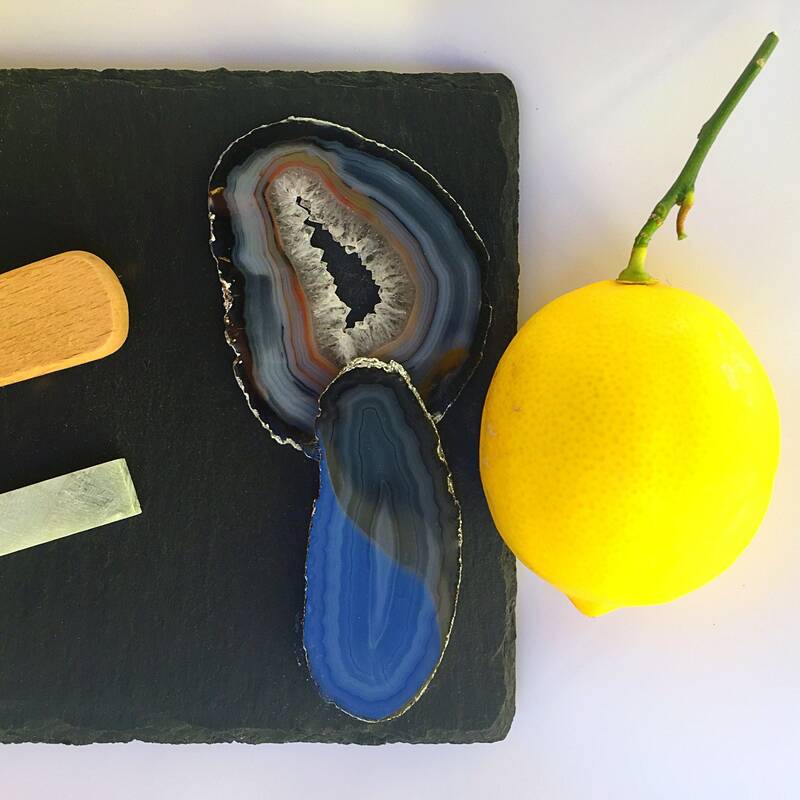 Nice sized slate board with chiseled edges showcase a glamorous natural Agate Geode slice. 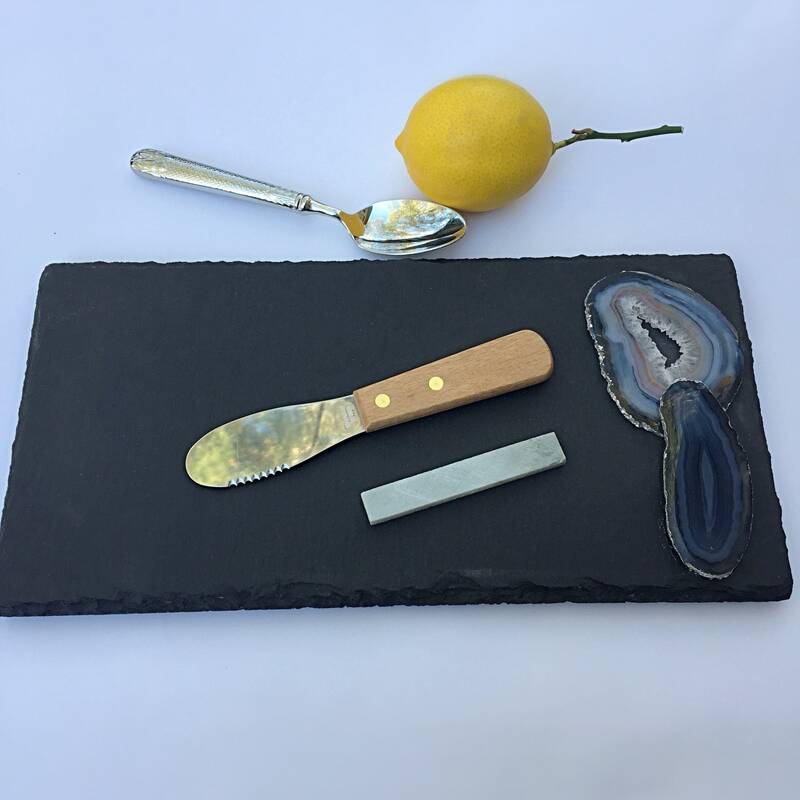 Provide a beautiful and informative presentation of cheese, appetizers, tapas, desserts and more. 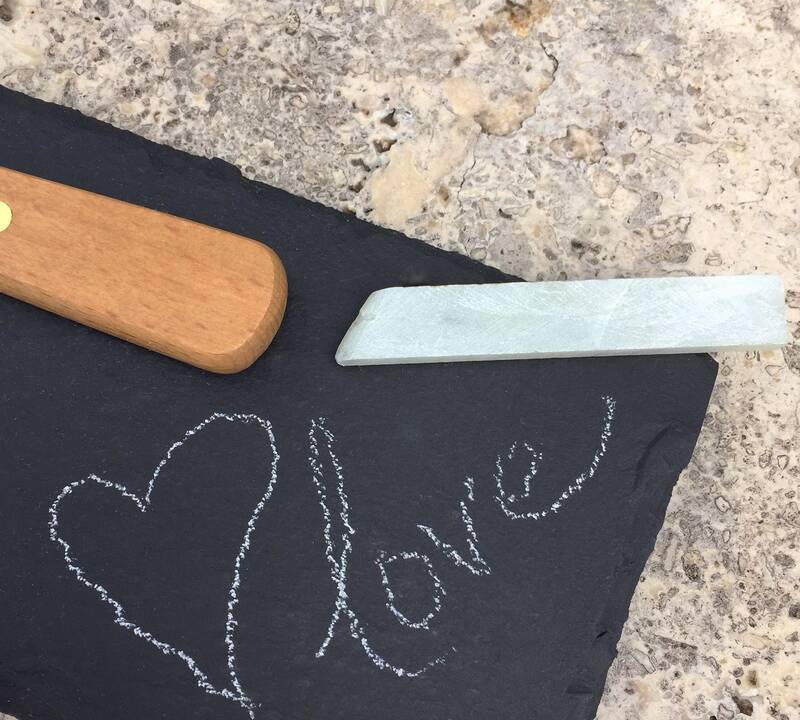 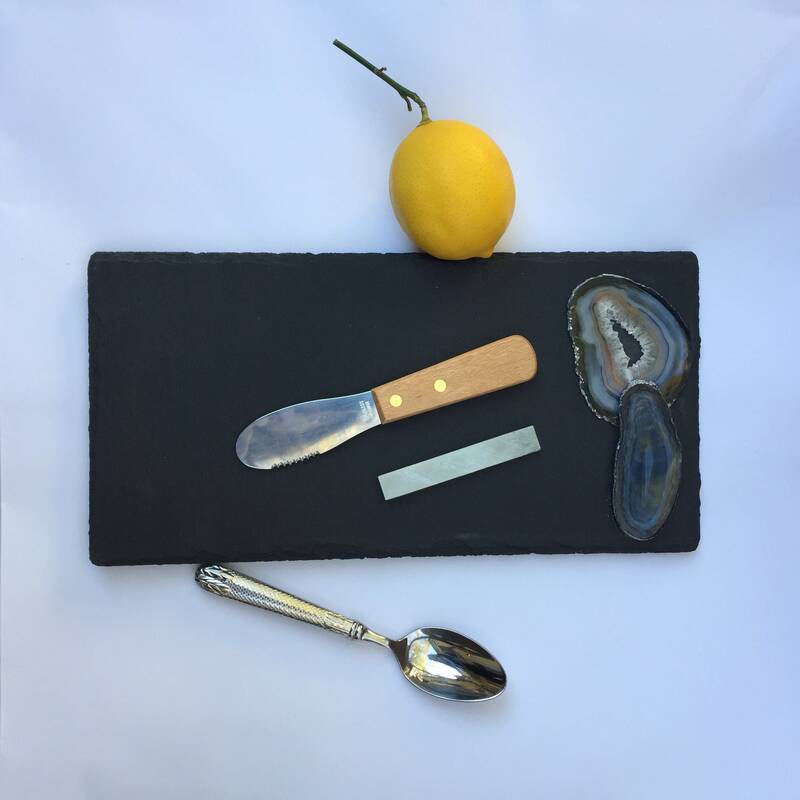 Use the included soapstone “pencil” (or your own chalk) to write a chalkboard menu or personal message directly on the slate, simply wipe clean with a damp cloth. 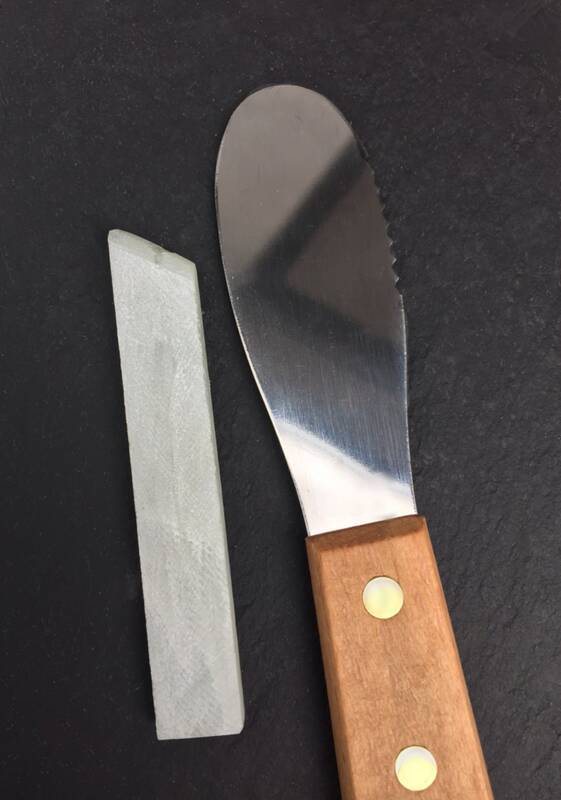 Includes a stainless and wood handled spreader. 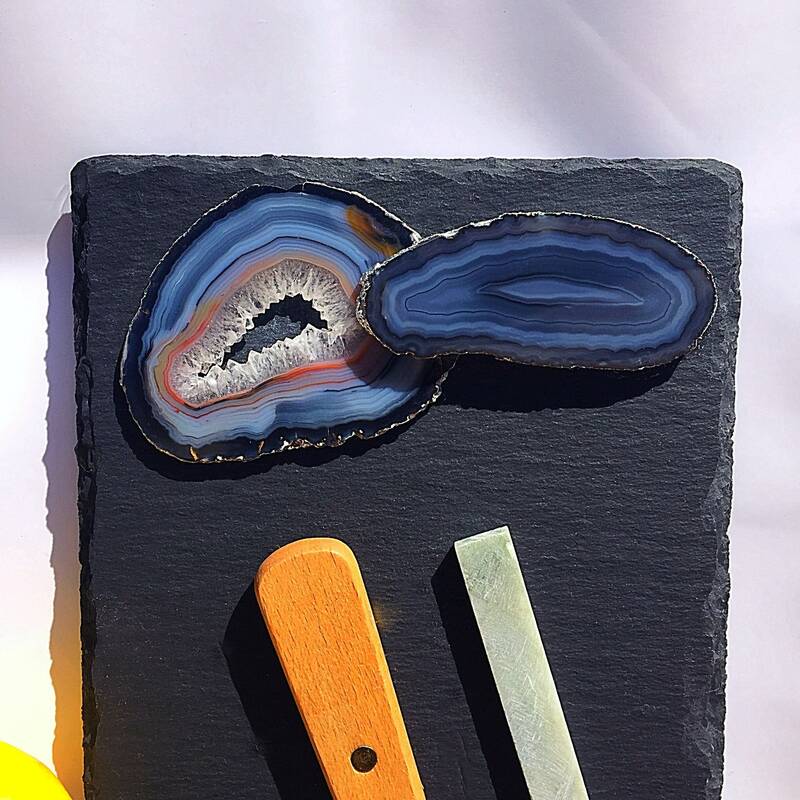 DETAILS: please ask us any questions you may have!